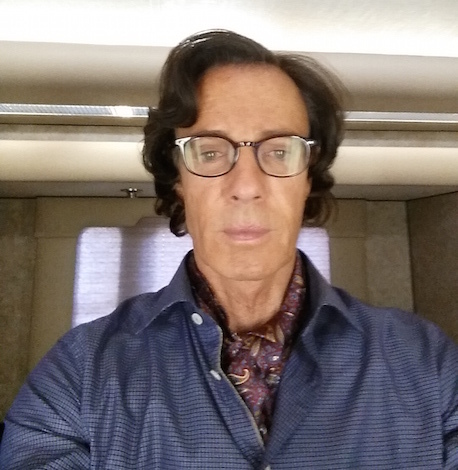 Due to the unprecedented exposure of the last post – about 400 views in 48 hours (yes, I was surprised, too) – I thought I’d take the opportunity to launch the Rick Springfield is Not a One-Hit Wonder campaign. It’s not an official campaign but I’m just tired of seeing RS included in references to one-hit wonders. So here’s an abridged look at RS through the past five decades. In the 1970s, he was on shows like “The Sonny and Cher Show” and “American Bandstand.” Then he was popular on MTV after that launched in 1981. Although I didn’t have cable at home, I spent many happy moments while babysitting watching those videos. His look changed with the times – long feathered hair in the 1970s, short feathered hair and pink and purple suits in the 1980s, the mullet, etc. His musical sounds changed, too, as he adapted to different musical styles throughout the years. His early songs are very different from his current ones, and yet I can appreciate his songs from all the different decades because of his songwriting and musical skills. My personal tastes today are much closer to his current albums – the older ones are more nostalgic now – and I’m excited to hear his new CD that is scheduled to come out in the next year. The 1980s also included his first movie, “Hard to Hold,” and the albums “Rock of Life” and “Tao.” He also took time off from his musical career when his sons were young and focused more on his personal life and on acting. He was nominated for a Grammy for “I Get Excited,” “Don’t Talk to Strangers” and “Affair of the Heart” and made many music videos during MTV’s first decade. Here’s a link to more of his videos. For many, this was the last people remember about Rick Springfield. But he’s been busy since then, recording several albums – including a CD of lullabies that he wrote for his sons when they were young – touring, acting, writing (a memoir and a novel). 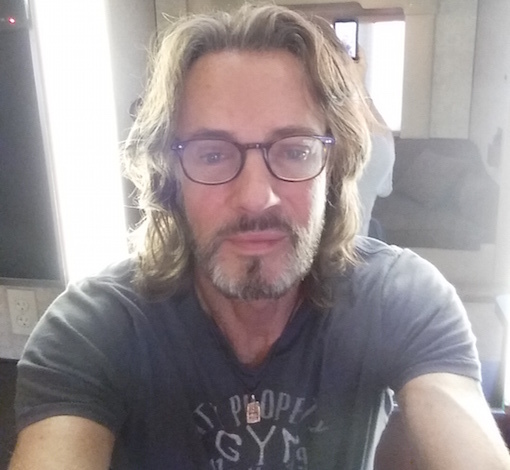 For an amazing resource on all things Rick Springfield, visit this comprehensive fan site. Last week there was a paparazzi photo posted on Twitter of Rick Springfield “shopping in Beverly Hills.” It didn’t really look like he was shopping, as he only had his phone in one hand and his keys in the other but that was how it was portrayed. He looked great but appeared a little annoyed that his picture was being taken. But now there’s good news for RS – a new disguise for when he goes out in public so people won’t recognize him if he doesn’t want to be bothered. Both of these looks – one creepy and one aging rocker (aka in this summer’s “Ricki and the Flash”) – show his willingness to transform himself for a role. With the TV show and the movie – not to mention the new CD and the new book, as well as a concert tour – coming this year, RS fans sure have a lot to look forward to! Before I get started on the evolution of “I Hate Myself,” I just want to clarify that this post isn’t really about the evolution of Rick Springfield’s “I Hate Myself” as a song, but rather the evolution how the song played out in our family. When I first heard “Songs for the End of the World,” “I Hate Myself” took me by surprise. Such an upbeat tune with such a negative message. Since it was so catchy, I decided I didn’t want my kids to hear it because I didn’t want them to start walking around singing “I hate myself” either at home or at school. So I skipped it when the kids were in the car. Then one day one of them asked if they could hear the song. “OK, but I don’t want you singing it,” I said. (Maybe this whole thing is an over-reaction, but I think words can have a certain power when verbalized. Which is why I think it’s so funny – both funny strange and ha-ha funny – that that’s one of the songs that RS gets his audiences to sing out loud). So I played it. And they liked it. And one day during carpool, my 6-year-old told the kindergartner carpooler, “Rick Springfield has a song called, ‘I Hate Myself,’ do you want to hear it?” So after some coaxing, I risked being a “bad influence” carpooler and played it. The kindergartner liked it and started requesting it on future trips. Hopefully he didn’t start singing it at home. Then one day, one of my boys asked why RS would sing a song about hating himself. So I winged it, trying to make it a teachable moment. I explained how sometimes people do things that they feel bad about doing and then they hate that they did it. So it doesn’t mean that he actually hates himself, but he hates that he did whatever it is he did. Who knows, maybe hearing this song will someday help them get through something that they regret doing. Maybe I’m overthinking the whole thing. But the other day I did hear my 6-year-old singing, “I love myself” to the same melody. Sure that changes the whole theme of the song, but for a family that isn’t too far out of The Wiggles phase, it’s fine with me. Fortunately they haven’t yet asked about what the rest of the song’s lyrics mean. For those RS fans who weren’t able to go on the Club Med vacation, one awesome fan put a recap video together so we could enjoy it vicariously for a few minutes. Thank you! Before I started this blog last August, I had lost touch with what RS was doing over the years. So sometimes I find an old interview and catch up. Tonight I found one from June 11, 2014, around the time his “Magnificent Vibration” novel came out. At the time the interview was published, he was still planning his Australian tour for fall 2014 and “True Detective” and “Ricki and the Flash” were not even a twinkle in the casting directors’ eyes (or maybe they were, I don’t really know but the news of him being in “Ricki” was announced Aug. 6, 2014 – a year minus one day before the film’s release date). Anyway, once he got the part in the film, he had to cancel his Australian tour, which disappointed a lot fans down under. But the opportunity to be in a film starring Academy Award-winning Meryl Streep was just to good of an opportunity to pass up. I don’t mean to bring up any hard feelings, but my point is, the rest of the year changed since the time of the interview. It reminds me of the saying, “Man plans and G-d laughs.” We can make our plans and even work diligently on them, but we never really know how it’ll all turn out. RS is such a good example of this. Fortunately for him, his changes involved wonderful opportunities and hopefully that will continue! Oh, and I came across this interview tonight, too, on The Australian Morning Show on March 5, 2014 (a year and two days before I saw him for the first time in 15 years). He slips into his Australian accent a little, which is cute. A link for a signed RS guitar for charity showed up in my Facebook newsfeed today. An electric guitar signed and played by Rick Springfield for $1,500 that goes to charity. Nice. An autographed container of RS’s hair? Seriously? And you can even get it gift-wrapped. Maybe it’s just me, but I find purchasing somebody’s hair a little creepy. Except for a sentimental snip of a child’s first haircut for the baby book, I don’t understand the attraction. Sure, it’s nice that the $750 will go toward charity but what’s next? Toenail clippings? What?! When did this happen? Did he really shave his head? His famous tweet in which he broke the news of being on the show was on Dec. 10, 2014. According to one awesome RS fan website, there were no tour dates in December so there were no concert snapshots or videos posted on social media at that time. Then there was the trial in Syracuse in the middle of January and those cool photos in the studio when his hair was fairly long. So if he shaved it in December, how did it get that long again a few weeks later? Just one of those things I was thinking about tonight. What, you think that’s creepy? 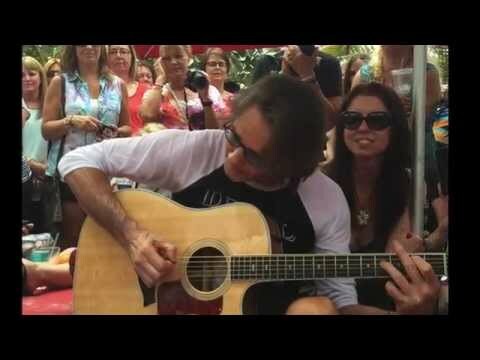 Rick Springfield was on “Entertainment Tonight” last week and the interview was held during the five-day fan getaway at Club Med in Port St. Lucie, Florida. With a glass of red wine in hand, RS had his interview, which emphasized his special connection with his fans, the fact that he’s “an ’80s heartthrob who is still going strong,” his role on “True Detective” and his upcoming movie with Meryl Streep, “Ricki and the Flash,” which comes out this summer. And that was the headline. If you have seen a RS show, you’ll know that his words seem to come out unfiltered when he’s on stage. (And typically the audience loves it.) And those who read his autobiography know that his touring days in the ’80s did indeed include a lot of [bleep!]. So him saying that he gets [bleep!] a lot less, is much more tame than the headline makes it appear to be. He addressed his infidelity in his autobiography, along with many details about his early touring days, so to many it was just a humorous comment in the interview. During his live shows and in interviews, he talks about how much he loves his wife and how lucky he is that she’s stuck with him all these years so on one hand, it may surprise some people to hear him make that comment, but on the other hand, that’s also his sense of humor and his wife was there so it’s pretty clear that it was a joke. The details of their relationship aren’t anyone’s business but theirs, of course, so this is more just a commentary on ET’s use of headlines. It’s not a surprise that that’s what they decided to go with because it’s all about the clicks and that certainly gets attention. But is it necessary?